Do you want something convenient, affordable, and that helps our environment? Then PoopBuddy is for you! Get monthly deliveries right to your door. Your package is shipped on the 15th of every month. Each package includes eco-chic bags and at least two surprises. 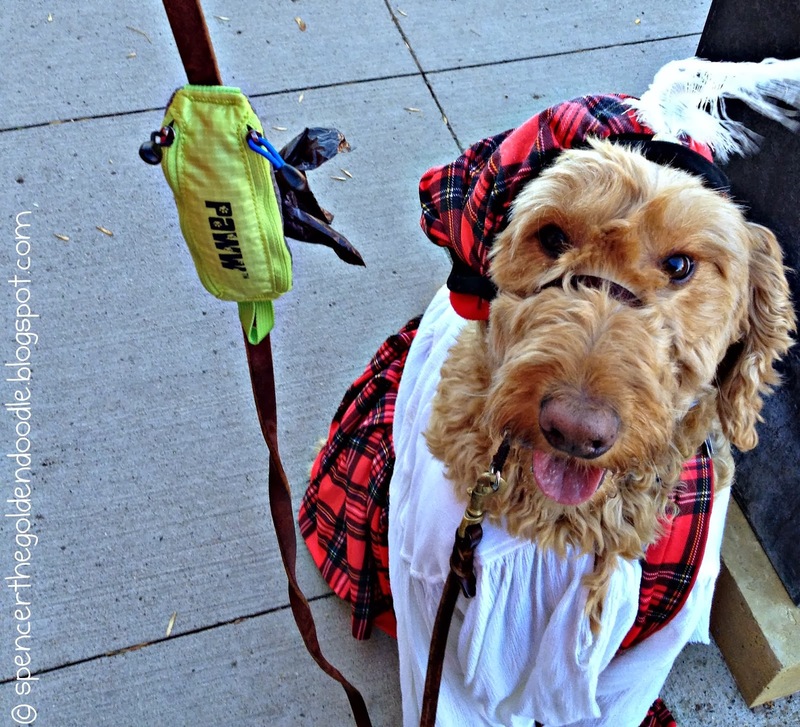 Did you know that 40% of dog owners don’t pick up after their dogs. Dog Poop carries harmful organisms such as Salmonella, E.coli, roundworms, and tapeworms which may cause fatal diseases. So, if it rains, dog poop can enter our drinking water, lakes, and rivers causing harm to the animals and plants. Each of PoopBuddy‘s bag are eco-friendly and contain vegetable-based materials or natural ingredients. The best part is that PoopBuddy donates 10% to shelters and WWF! What more could you ask for from a company!!! Love their packaging! When I opened up the mailbox and saw this bright package with the cute dog sticker it brought a smile to my face. 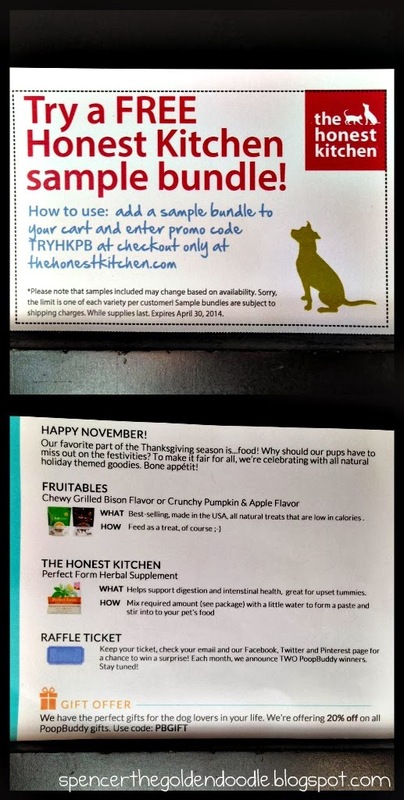 In this package, a free sample pack from Honest Kitchen Perfect Form Herbal Supplement was included along with an offer to try a sample bundle for either dogs or cats for free. It also included a sample for Fruitables Skinny Minis Grilled Bison Flavor Dog Treats. 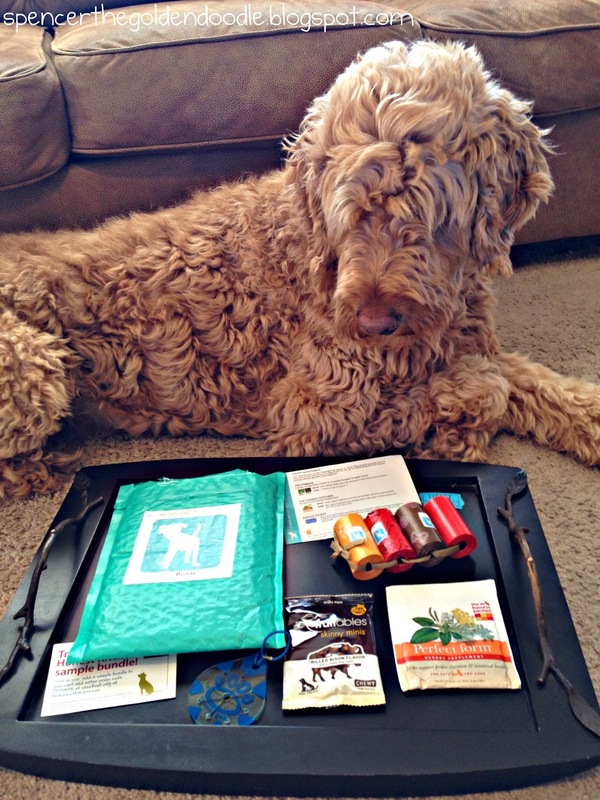 Spencer gives this product 4 PAWS up!!! For the busy schedules that we all have having right now, a product that we use daily that comes straight to our door is wonderful! Plus, the designs are cute, everyone likes surprises, and we love that they give back. So what are you waiting for, order yours today! You, too, can make a big difference! 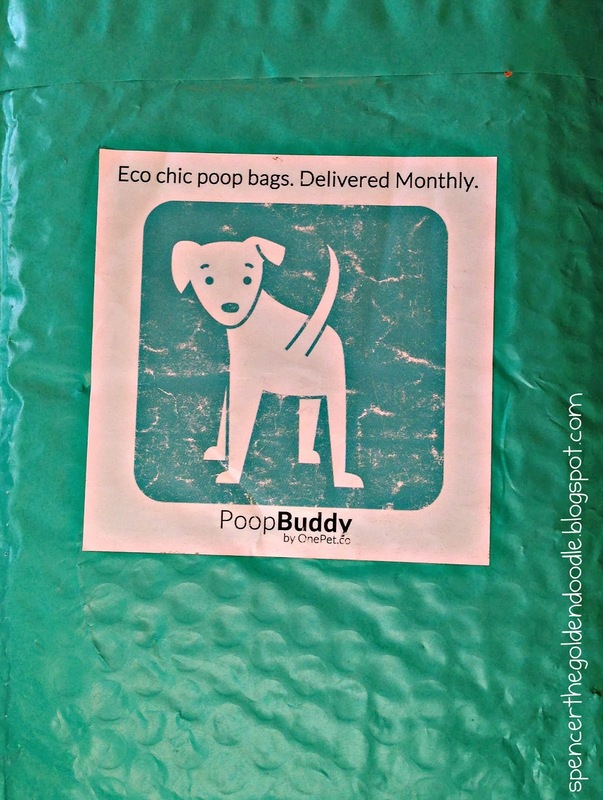 Check out more from PoopBuddy on their Website, Facebook, Pinterest, Instagram and Twitter! 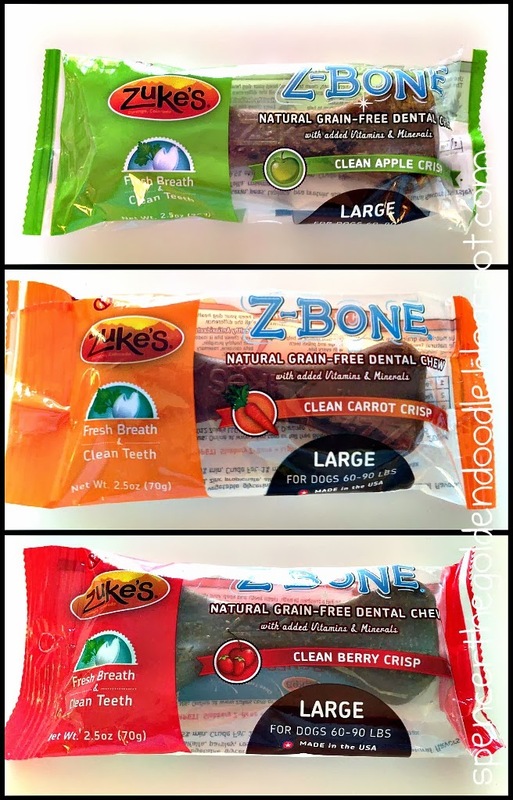 I am pleased to introduce to you Zuke’s Z-Bones Natural Grain-Free Dental Chews. 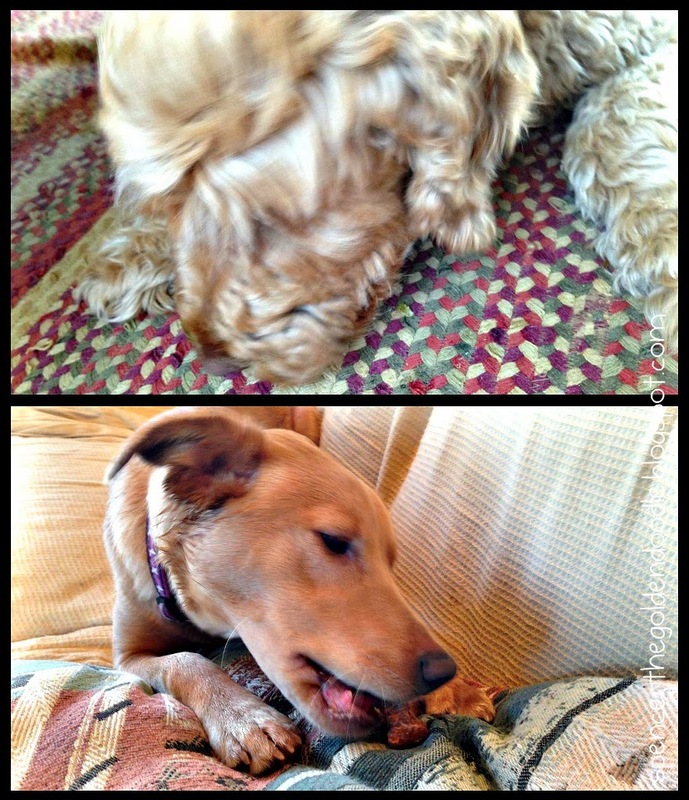 This wonderful chew bones comes in 3 delicious flavors: Clean Apple Crisp, Clean Berry Crisp, and Clean Carrot Crisp. They also are available in four different sizes: Mini (10-25 lbs), Regular (25-60 lbs), Large (60-90 lbs), and Giant (90+ lbs). With all the recalls in the news lately, Zuke’s are proud to say they have never been recalled since opening in 1995. Made in the USA, they maintain strict testing standards on all of their products. Additionally, they also donate a portion of every sale to The Dog & Cat Cancer Fund. coffee table, Carlie went on top of the couch and Louie was trying to run away from me every time I tried to take his picture. 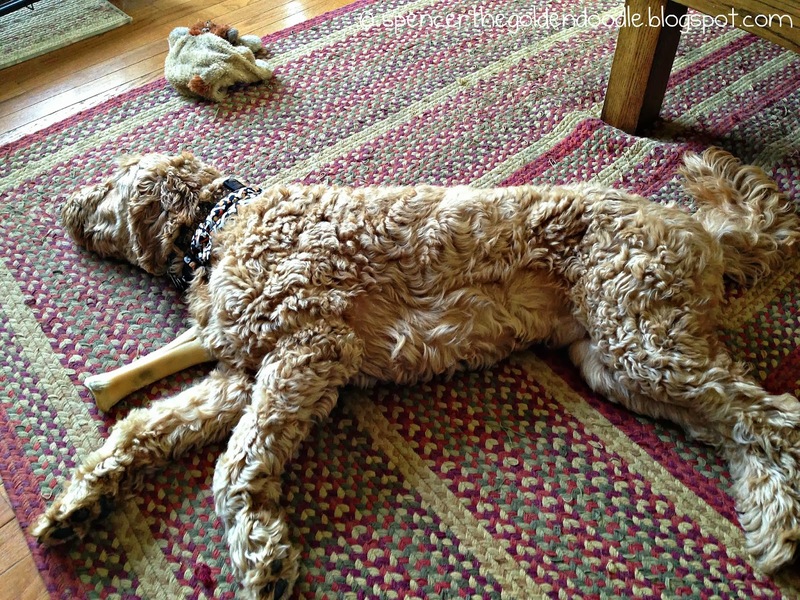 Finally, he settled under the coffee table – opposite side of Spencer. Spencer, Louie, and Carlie give this product 4 paws up! I would definitely recommend Zuke’s Z-Bones! Check out their Website for this and other products. You can also find them on Facebook, Pinterest, and Twitter. Now onto to the Giveaway! 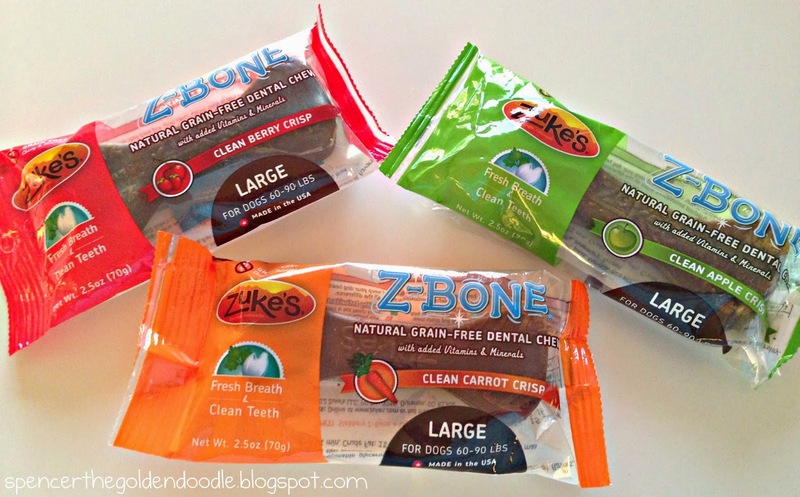 Zuke’s is going to give one lucky person 3 8-count bags of Z-Bones, one bag of each flavor! This giveaway will run until November 5th. Must be 18 years of age. Simply enter below and Good Luck! Disclaimer: I was provided 6 samples of the Z-Bones free of charge for the purpose of this review. All opinions are my own and no other compensation was given. Note: Supervision is occurring every time Spencer is eating a treat, bone, or food. Spencer is known for eats with elegance and grace. Please monitor your dog/pet while they are eating. 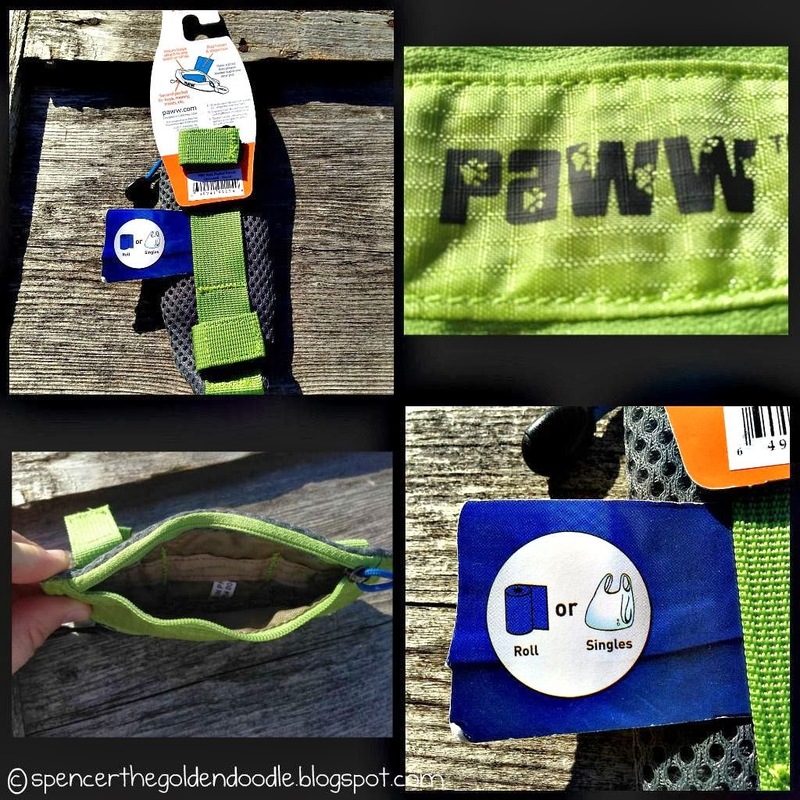 I’m happy to introduce the “Pick Pocket Pouch” from Paww. Paww is a new, design-focused pet products company driven to make smart products for pets and their humans. 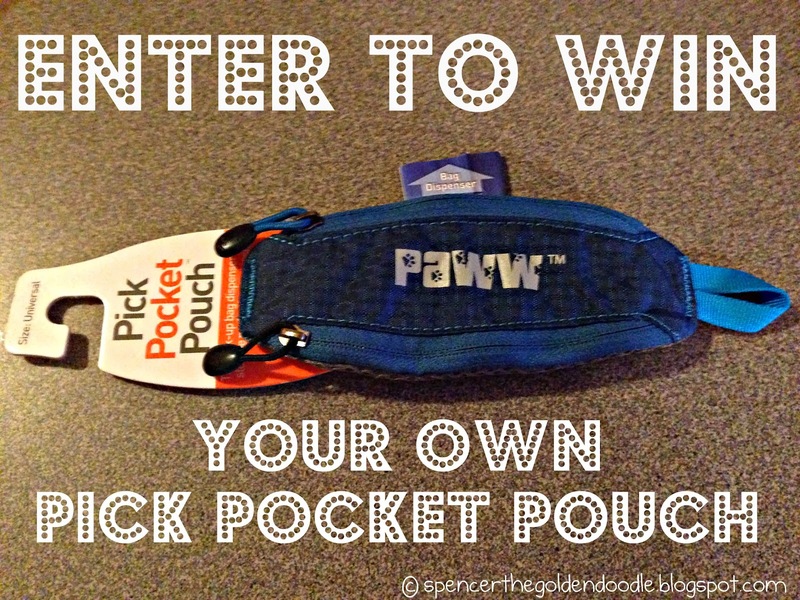 The “Pick Pocket Pouch” is easy to use. All you have to do is velcro it onto your lease and you are set to go. The design is sleek, fashionable (5 different colors to pick from) and made with durability in mind. It has two different pockets. The first pocket is big enough to hold up to one roll of bags. It has a dispensing slot on the back of the pouch for easy access to a bag. The other pocket is big enough to hold some keys, money, or other small items. Located at the end of the pouch is a loop that can come in handy to attach a carabiner, safety light or you can use it to hold a knotted end of your used bag. I tested it out this past weekend on our benefit walk. I liked how it was easy to place, you simply have to velcro it to your leash. It didn’t weigh down the leash, or distract Spencer while he was walking. It laid flat and didn’t bounce all over the place. It was great to put my car key in since I didn’t have pockets and neither did Spencer’s kilt. 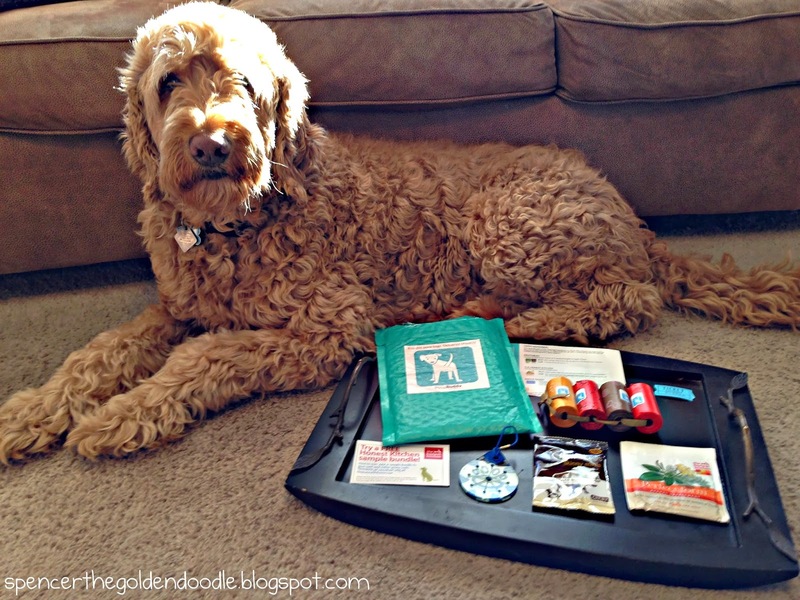 Spencer gives this product 4 paws up! I would definitely recommend the Pick Pocket Pouch to those dog owners who like to go on walks, runs or just random adventures. Check out the Paww’s website for this and other products. Disclaimer: I was provided two Pick Pocket Pouches free of charge for the purpose of this review and a give away. All opinions are my own and no other compensation was given. Overall Spencer is a well-behaved, charming and easy dog. However, that does not mean he does not have his ‘quirks.’ He also has some anxiety and separation issues. I’ve tried many products to help manage those issues. I came across the Calming Collar in a magazine and reached out to see if Spencer would benefit from it. The Calming Collar is a customized cloth collar filled with a blend of natural herbs. 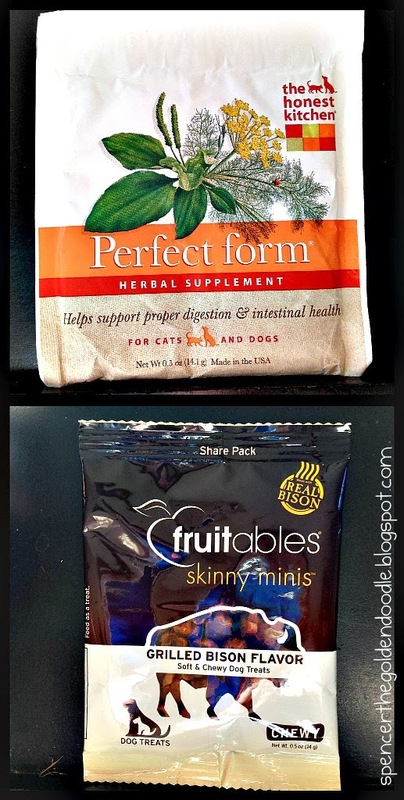 The combination of these herbs help your dog with different issues. It is easy to use. All you need to do is clip it around your dog’s neck (as you would a collar), adjust the straps and let the aromatherapy do its work. The Calming Collar offers three different collars to target three different target issues: Calm Me Down, Good to go, and Too Cool. In this review I will be focusing on the Calm Me Down Collar. If the collar is worn 24/7, the herbs will last 3 to 4 months. If only used a few hours a day or less, it could last up to a year. It comes with a sealed bag you can store your collar when it is not in use. Surface clean only with damp cloth. You can choose from over 40 different fabrics. Spencer seems to get the most anxious when we go out to the farm. My parents’ two puppies like to jump on and get in Spencer’s face. They also have a hard time sharing. We have noticed that Spencer paces from room to room while panting and has a hard time listening to commands. He loves going to the farm but it normally takes about 2 or 3 days there for him to get situated and feel comfortable. I put the Calming Collar on him as we were leaving to go to the farm (which about a 30 minute ride and he loves to go for car rides). Once it was on he left it alone and it still fits even with his other collar on. Once we arrived, he chased the cats like normal, did his business and we went in to the house. My parents’ 3 dogs greeted up with open paws and Carlie was crying cause she missed him so much. Throughout the entire evening we all noticed that Spencer did not pace from room to room. He was not nervously panting and he was able to follow comments the first time. The other dogs would smell the collar but left it alone. He opened up quickly, was less guarded and started playing with the puppies right away. My mom was working on a project and was using the staple gun (normally Spencer would hide from loud sounds). Not that night, he didn’t mind it one bit and continued to play. I took it off when it was time to go to bed. The next morning, I put the Calming Collar on right away and, just like the day before, he was calmer and less stress then he normally is. He rested on and off throughout the day. I can’t believe how well and quickly this worked! I would highly recommend the Calming Collar to others in the same situation. The adjustable buckles are nice since Spencer’s hair grows and it can be adjusted accordingly. 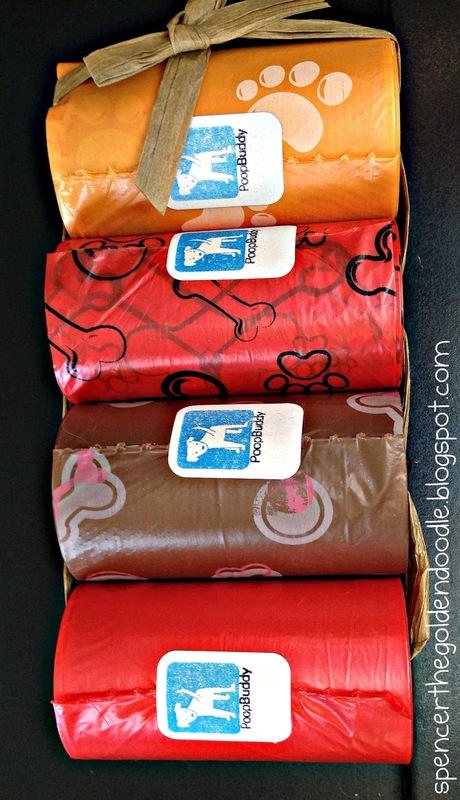 A variety of different fabric chooses to chose from to fit you and your dog’s personalities. All natural herbs, no oils or chemicals. Wonderful communication with the company! At first this collar’s aroma is strong, if you are sensitive to smells that maybe an initial concern. If you are interested in purchasing Calm Me Down, Good to go, or Too Cool, use the coupon code “Spencer” and get 10% off your order. 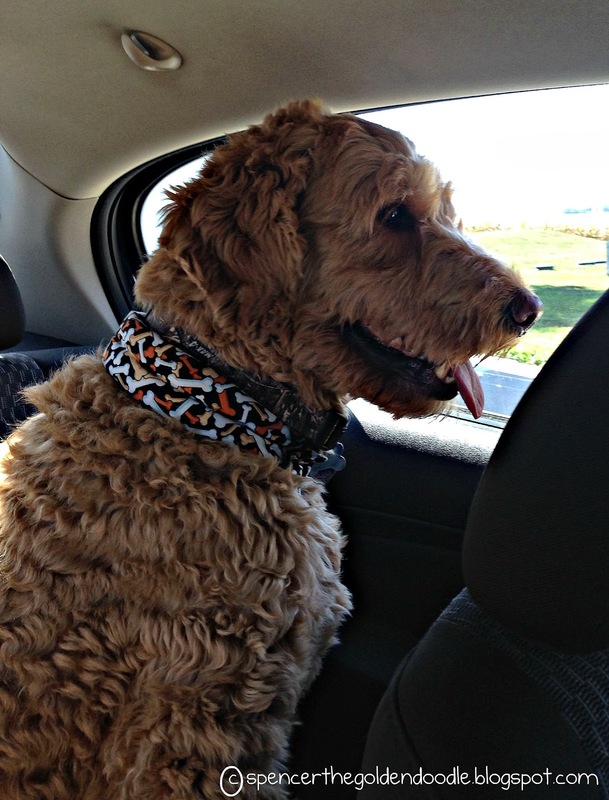 You can find Calming Collar at their Website or on Facebook! 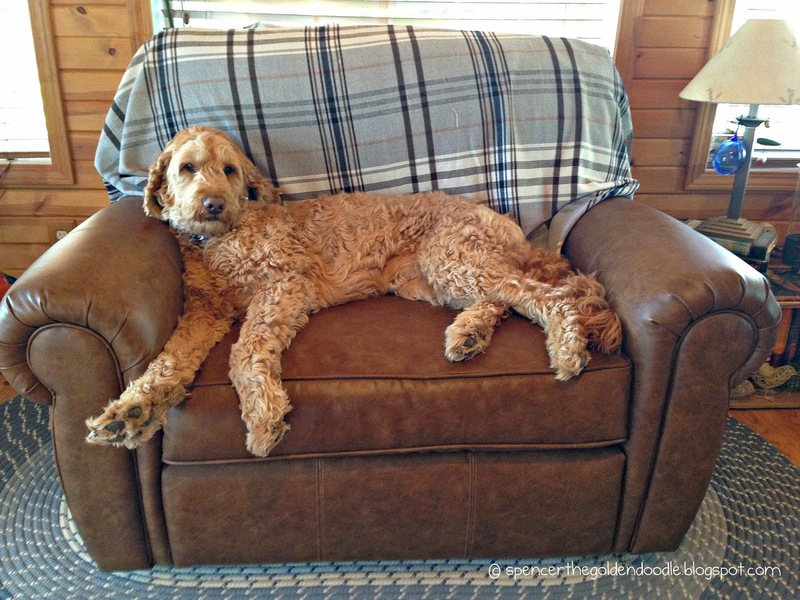 Disclaimer: I was provided one Calming Collar free of charge for the purpose of this review. All opinions are my own and no other compensation was given.